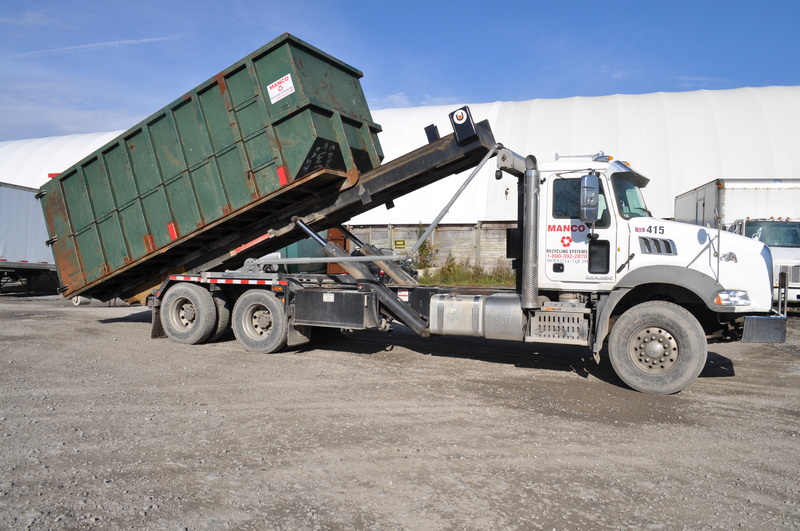 Manco Recycling Systems operates a comprehensive fleet of vehicles and equipment customized to suit your service needs. 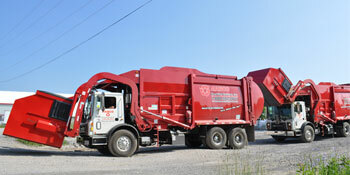 Trucks include, packer units, straight trucks, roll-off trucks and side-load recycling trucks. From 32 gallon tote carts for organics and recycling available in 32 and 95 gallons to 40 cubic yard roll-off bins for large demo and industrial projects, Manco has the right sized container to service all your businesses waste and recycling needs. Rolling rigid poly carts on wheels for small items, recycling and organics are available in 32 and 95 gallon sizes. 2, 4, 6, and 8 cubic yard front load bins are available with lockable hi-density poly lids. 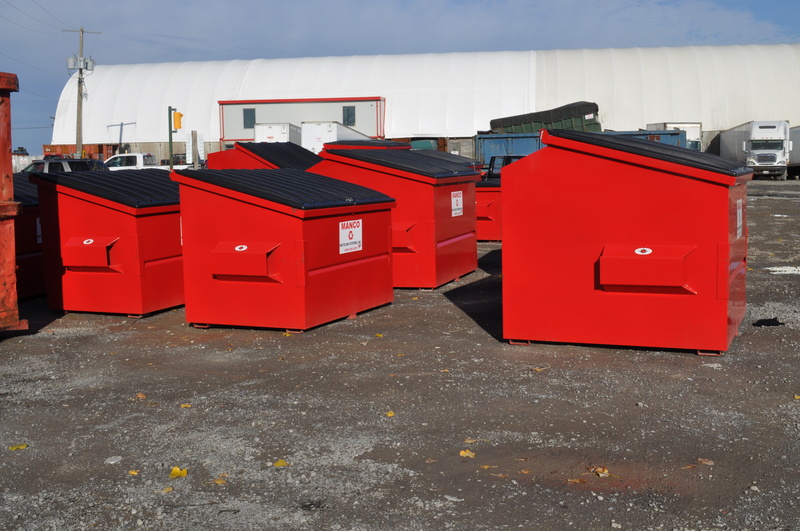 These bins remain on your site and are serviced on a regular schedule. 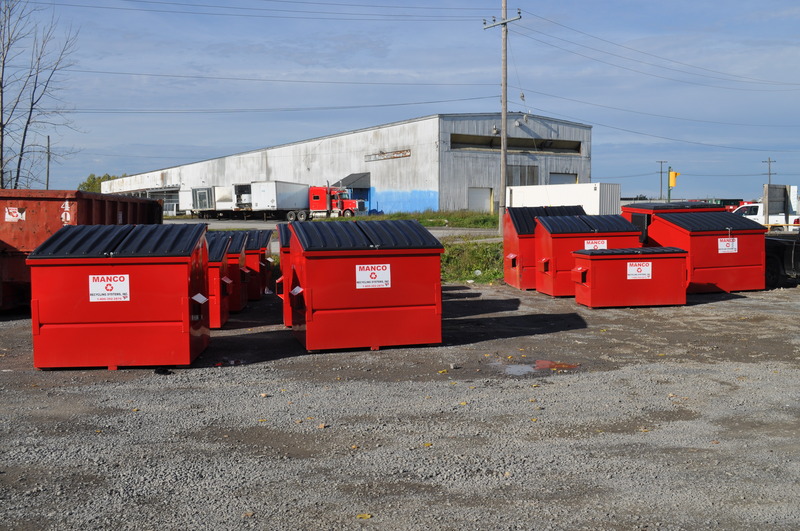 As the name implies, these large bins roll-off the back of a roll-off truck and are for high-volume industrial customers or the “week-end warrior” that has a large clean-up job at home. Roll-off containers are available in 15, 20,30, and 40 cubic yard sizes. Manco Recycling Systems Inc, is your local choice for your compactor and baler needs. We sell, lease and service major industrial brands. Our expert team can customize an equipment package to provide recycling and waste solutions for high volume material generators. We have invested in state of the art truck technology with onboard scales meeting the latest emission standards to improve our performance to present and future clients. We have transitioned our western region clients from rear load to front load bins for OCC. In the near future, we will be transitioning our eastern and northern region clients over to front load bins from rear load bins. Find out how Manco can help your business be apart of a waste and recycling solutions program. CALL MANCO AT 613-354-1822 FOR A QUOTE TODAY.